The model for developing and delivering modern web applications is more lightweight and streamlined. NGINX has become the web server of choice at the majority of popular websites due to its simplicity, high performance, and scalability. This has led to the widespread use of the LEMP stack, with NGINX (Engine‑X) replacing Apache in the second position. Now, other software in the typical application stack is changing as well. Today, we introduce a new, even more modern application stack: LEMUR, which stands for Linux, NGINX (Engine‑x), MariaDB, Unit, and Redis. This software bundle enables you to build applications that are more universal, lightweight, secure, scalable, and high‑performance. In the following, we’ll briefly describe why each component of LEMUR is the most appropriate choice to create the most useful possible organic whole. Linux is today’s most popular operating system, used by applications ranging from smartphones, routers, and IoT devices to large clusters of servers. We are confident about retaining Linux in the LEMUR stack, as Linux is open, high‑performance, relatively secure, and lightweight. The stability of Linux will provide a solid foundation for modern web applications for many years to come. When Igor Sysoev began working on NGINX more than 15 years ago, no one expected that a project he created for the purpose of accelerating a large service, then based on Apache, would grow to have the influence it has now. The Apache HTTP server was the initial platform for most Web applications, but its flexibility comes at some cost in reliability and performance at scale. We are including NGINX in the LEMUR stack, taking our cue from the LEMP stack and using the E from “Engine‑x” in second position. When Oracle acquired Sun Microsystems – which had previously acquired the company behind MySQL – in 2010, one of the original authors of MySQL promptly forked the software and created MariaDB. Its open design and collaborative development ensure that the most popular database in the world stays open source and available for engineers on any project. Also, it’s backwards compatible with MySQL. All of these traits make MariaDB the preferred choice as the relational database in the LEMUR stack. First released in 1997, PHP has become the most popular language for web applications. We are all grateful to the PHP community and developers who have made this language such a success. Thank you for keeping PHP simple, with a very low barrier to entry, and easy for newbie web developers! But modern applications are becoming more and more complicated – they are developed in many languages and delivered in multiple versions of different languages, often all at the same time. In response to these new challenges, we have developed NGINX Unit, the new server for modern web applications. 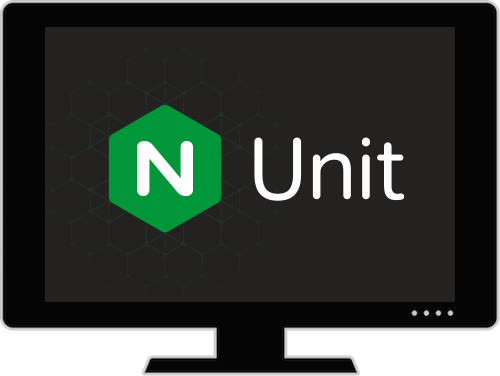 NGINX Unit supports many languages and language versions at the same time, including multiple versions of PHP, and takes on the role of application server in the LEMUR stack. Relational databases are the cornerstone of data storage. However, there are many lightweight applications where using a large and complicated data store is not practical, or not fast enough. In 2009, Salvatore Sanfilippo introduced Redis, the in‑memory key‑value store. He later joined Redis Labs. Today, Redis is probably the most popular key‑value store, used by millions of instances of web applications. Its lightweight and simple design makes it the key‑value and NoSQL database of choice for the LEMUR stack. 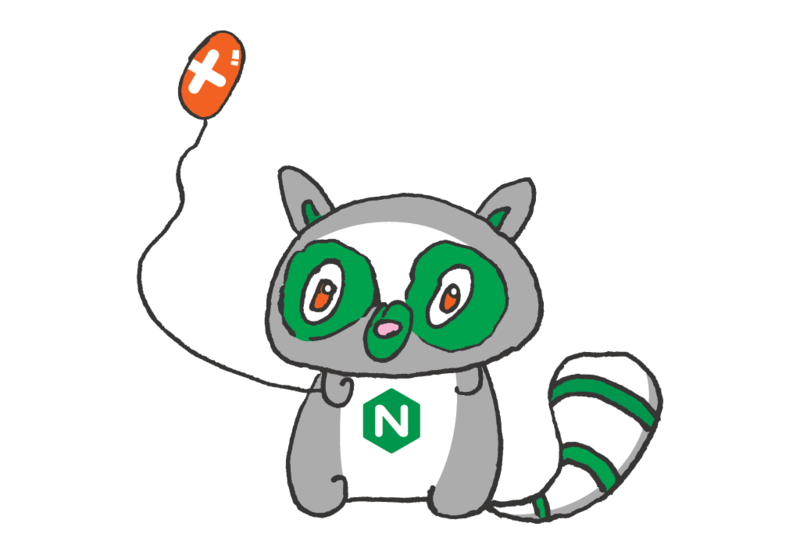 The NGINX community has waited many years to have an official mascot for our project. Today, as an April Fool’s homage (and not at all seriously! ), we introduce the Lightweight Lemur, the symbol of high‑performance, lightweight web application engineering. This solves a critical problem at NGINX, as our lack of a cute animal mascot has cost us street cred in the open source community, especially among attendees at tech‑oriented Meetups around the world. We are happy to have overcome this challenge, as we have so many others. We are inviting you to collaborate on the open source projects that make up the LEMUR stack, and others, moving the technology forward. We will soon learn more about where these efforts will bring us. Check out our open source projects, NGINX Open Source and NGINX Unit. Correction: An earlier version of this blog post stated that Redis Labs introduced Redis in 2009. In fact, Salvatore Sanfilippo introduced Redis in 2009 and later joined Redis Labs, which was founded in 2011.